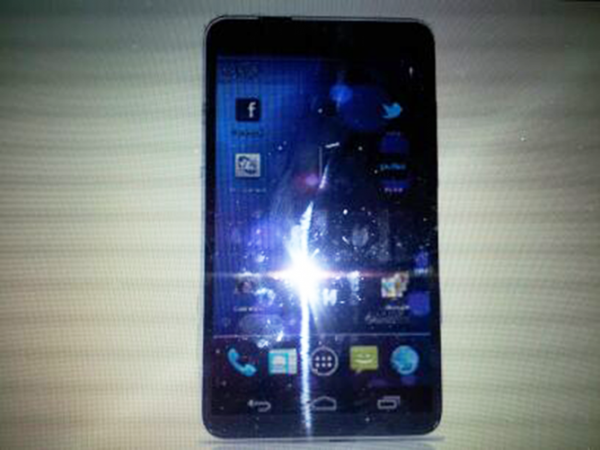 Specs and pics of Samsung Galaxy S III leaked! 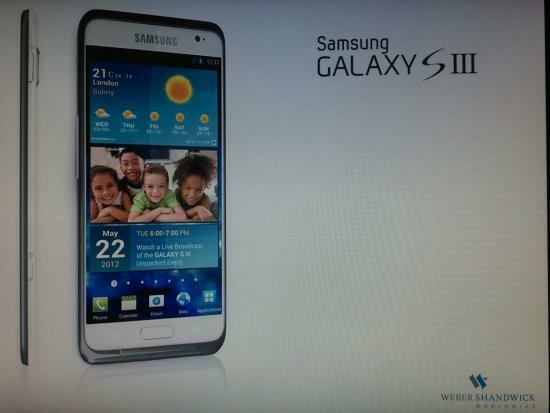 Pictures of what is supposedly the new galaxy S III have been surfacing lately, most of them where sloppy photoshop jobs, but now some that are allegedly real have been sent to us! Yesterday a Samsung Galaxy S3 image ended up online which is considered the most credible so far. At the bottom of the corner of the image is the logo of Weber Shandwick – a public relations firm that worked with Samsung before. Provided that the picture is genuine, which it obviously does not have to be, the unit could be presented on 22th May in London as it says on the calendar. Otherwise, we see Ice Cream Sandwich with TouchWiz and a centered Home button, which can have capacitive touch buttons next to it. The picture also shows what might be a dedicated camera button. The device is ridiculously thin with minimal frame around the screen. During the night there appeared another picture which is said to represent Samsung’s new monster. This time it is on a photograph and the person who provided the image also sent to a collection of data on the hardware. Samsung Galaxy S3, according to the informant a 4.7-inch Super AMOLED Plus display with HD resolution and display “occupies almost the entire phone”, that is, that it has no dead space. The small frame is said to be for the front camera, speakers, and in order to be able to use a protective case. In addition, rumors of massive 2GB of RAM have been spread – twice what any android phone has so far has been equipped with. The chip that makes everything come to life is said to be quad-core and Samsung’s own Exynos. A 12MP camera with flash and a 2250mAh battery is also mentioned in this context. Last but not least, we are told that the Galaxy S3 has a ceramic backing that is tempered by MAO process. Samsung Galaxy S3 is the most anticipated androidphone right now and the rumors and the images will probably continue until the unit finally gets a public presentation. What do you think about the latest speculations? Previous: Wifi2Hifi, stream your pc audio to your IOS device! Next: The Piratebay's radical server idea, Low Orbit Drone Servers!